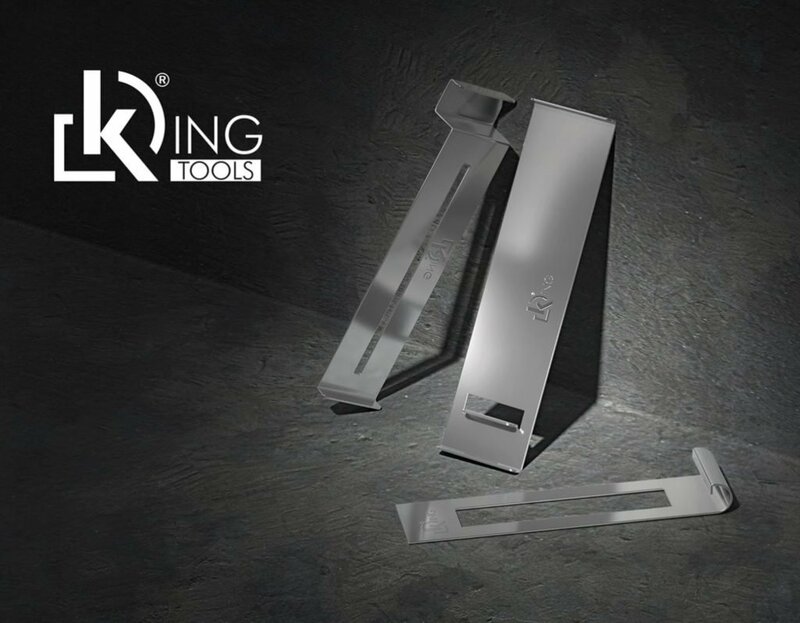 The KING TOOLS range completes the KING system to create a raised floor with advanced detailed solutions. It's a shame to just call them “accessories”. King-Klip UP and Down are two hooks in AISI 304 stainless steel, complementary with one another, designed to create steps and sealing in raised outdoor flooring, safe for walking on, function and elegant, without the need for further fastening. 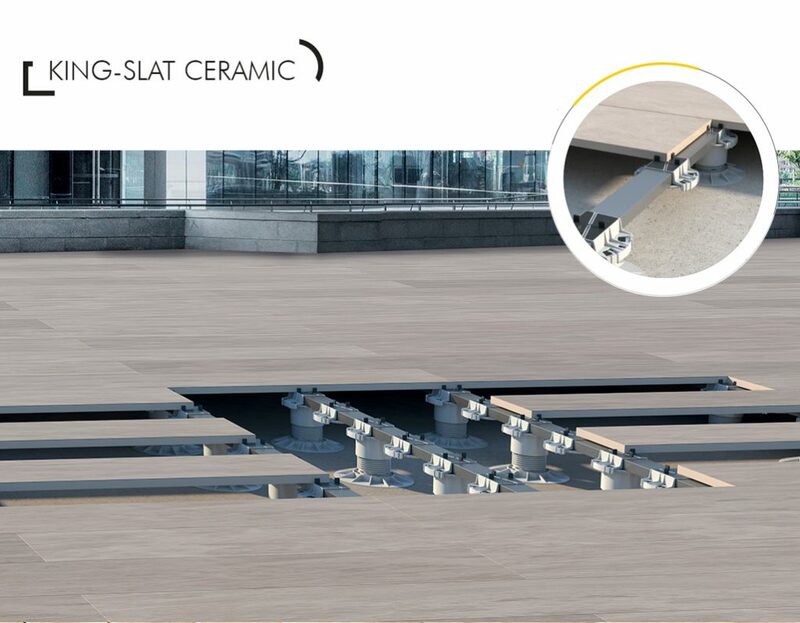 Their shape was designed to allow their perfect insertion under the base and over the top of the King self-levelling supports and at the same time covering the thickness of the 2 cm sealing plate, efficiently blocking it on top and bottom. 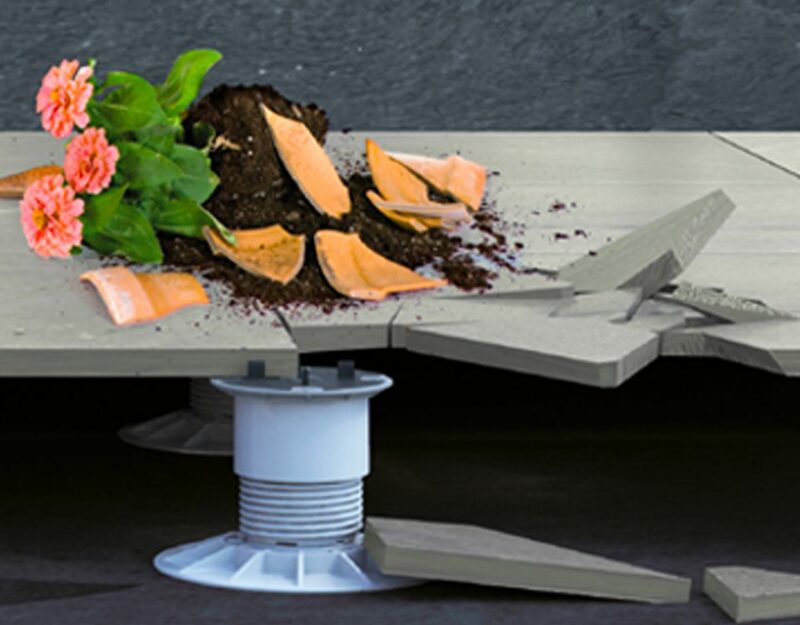 With a very discrete aesthetic appearance, the system holds the floor well, avoiding dangerous slipping or buckling. Positioning King-Klips is simple and intuitive, for results offering utmost safety while walking and quick installation. To create the step, the base of the supports for raised flooring positioned near the raised section must be adequately filed corresponding to the pre-incisions on the base itself; furthermore, from the top of the KING supports, remove the two tabs parallel to the line of the step, while the perpendicular ones remain to adequately space the adjacent plates. Then, position the King-Klip Down under the prepared support and insert the vertical sealing plates in the specific compartment offered by the KLIP. Then, position the King-Klip Up on the top of the support, grasping the thickness of the plate from above, which by doing so firmly sets on the support. King-Klips have proven to be excellent allies in the creation of false outdoor flooring with attention to every detail. 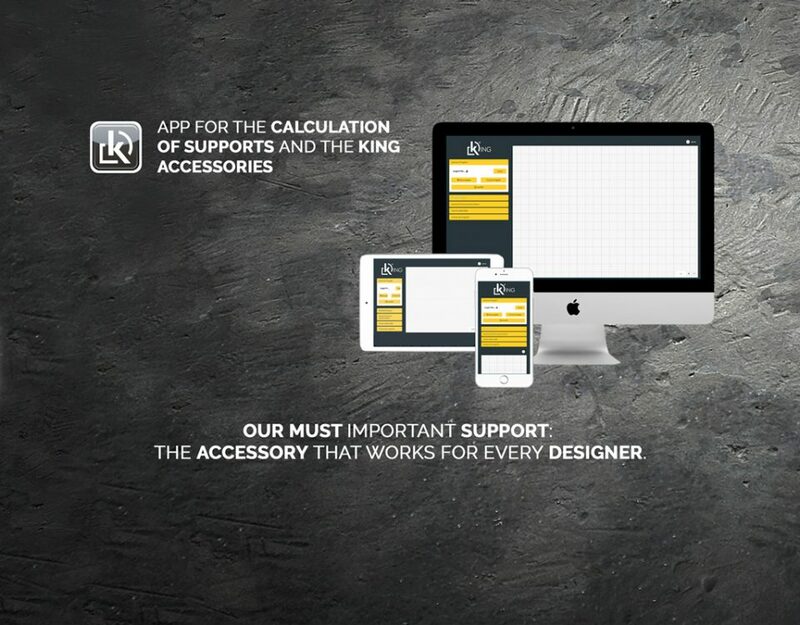 It's a shame to just call them “accessories”.